Today I would like to present my newest quilt "A Snake in the Garden". This quilt was created specifically for the http://www.slmqg.com/ contest EZ Dresden Challenge. It is celebrating Darlene Zimmerman's 20th Anniversary designing quilting tools for EZ Quilting. The linkup is September 1st - 6th with the winner being announced September 17th. Did I mention prizes? Oh yes there are lots of them. 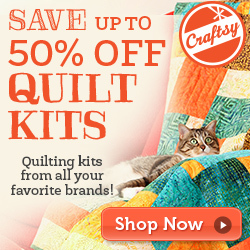 Please go enter your own quilts, I would hate to compete alone. Before I talk more about this quilt, I want to first say that I am a member of the SLMQG (contest is open to all by the way). I have attended the last 3 meetings and I have to say it's interesting going to a quilt guild and being the new guy. I so far feel like the odd man out (Maybe that is because I am the only guy). I am hoping that by doing my best in this contest, I can gain some respect with the gals in the guild. If not, well I am not going anywhere so I guess they will get used to me. In making this quilt, I did not want to just make Dresden plates. My assumption is that if I am in a modern quilt guild, I have to make it well more modern. As I searched different quilts for ideas, I saw many snake like shapes and I knew that I wanted to do that. But then again, I also wanted to have some traditional plates so that I could decide how I liked them and decide if I wanted to make them again. I am happy to say that I enjoyed the process of making the plates a lot. I used the ruler that I received from the guild that was given out as part of this contest. The ruler was fun and easy to use. The fabric that I chose for this quilt is from one of my favorite lines Reunion by Sweetwater for Moda Fabrics. One thing you might find interesting (its a guy thing) when picking fabrics from this line I avoided the "Flower" fabrics in that line. For the back ground of the the top I picked the light gray dots from that line and for the back I chose the large number print in multi color. To make sure I came up with some great pictures, my wife Tanya and I took the quilt to the International Peace Gardens near my house for a photo shoot. I love your snake pattern, very creative! Hey Richard, Nice quilt. I like the background fabric. It makes a good foil to your red-yellow-black-white plates, nice combo all the way round. I like the asymetry of the design to, creates a lot of interest. I meant to mention that my local guild now has several gentlemen sewer. Actually Mike MacNamera has been our Pres. a time or two. He's featured in Joe Cunningham's recent book about men quilters. You may be in the minority but you are not alone. I suspect you will win those ladies over in no time! Awesome quilt, Richard! And, you have our respect, sir :). Great job! Don't let anyone discourage you as a man. Lots of men would sew, hook rugs, run a loom or whatever they could to fill the time in winter months before we all had TVs and all the external entertainment. Nice job! I like your design a lot. I think I only came to one meeting before you started coming, and it is taking me a while to feel really comfortable too, even though I'm not a guy. =) It's a good group to be a part of, though. Your quilt looks great Richard. You must be very pleased with it. Absolutely love your quilt Richard! So fun and whimsical - and modern :*) A really great take on the dresden block! I like the combination of traditional plates and the dresden "snake"! How did you quilt this? Looking good!! Best of luck! Great quilt! Funny, I used to belong to the quilting group but moved to Italy (almost a year ago), and I grew up by the peace gardens. So I liked your pictures too. Brought back good memories. I like this quilt without the flower fabric.it looks very modern. Good job, Richard.....and quite unique! I understand your "guy thing" about the floral patterns....I have three sons and when I make quilts for them I usually try to avoid flowers unless they are really tiny.....good luck! That is so cool looking. I like the photo in the peace garden!